The monster spills had terrorised thy beloved Cape Cod with newly renovated interiors. It ruined your new Restoration Hardware Classic Chesterfield loveseat and sofa. Your new Persian rug too. But tremble in horror no more. 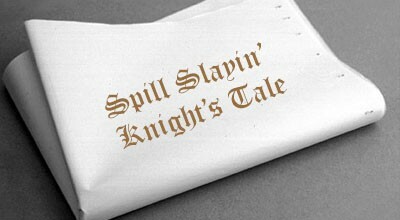 We are Perma-Guard™, we slay the spill. We offer the ultimate permanent stain protection/stain removal and upholstery cleaning services for fabric, carpet and leather since 1987. One powerful application of Perma-Guard™ provides the ultimate permanent protection from the monster spills without altering the color or texture of the treated fabric. The monster spills will cower up its ugly wings and fall silent to the mighty power of Perma-Guard™. No more would it scorch thy Cape Cod. Permanently. 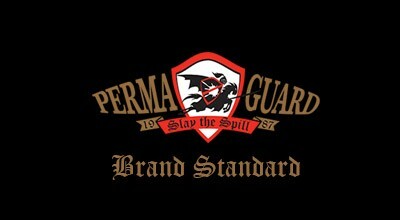 Perma-Guard™ has been in business since 1987. We offer state of the art stain protection/stain removal and upholstery cleaning services for fabric, carpet and leather in Southern California. Our company takes your carpet, fabric and upholstery stain and cleaning problems seriously. Owner, Scott A. Balachio sees to it that our clients get the satisfaction they deserve. We are the go-to and trusted stain protection/stain removal and upholstery cleaning company used by many high-end property owners and celebrities in Southern California. Have stained or dirtied carpet? 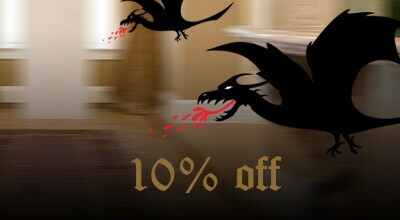 Need stain protection for your upholstery and other home fabrics? You don’t need to go far! We have the solution for all stain protection and cleaning needs for residential and commercial properties. Here at Perma-Guard™, we aim to be a top-notch company where people go for all their carpet, fabric, leather, and upholstery cleaning needs in Los Angeles, Beverly Hills, Pacific Palisades, Malibu, Santa Monica and Brentwood. We also service Orange County, Newport Beach, Laguna Beach, Costa Mesa and Irvine along with Ventura and Santa Barbara counties. When you avail any of our expert services in LA, OC, Ventura or Santa Barbara, you can be sure that you only get highly trained carpet, upholstery and fabric cleaners. All of our staff who handle customer’s carpet protection, fabric and upholstery cleaning needs know how to properly identify the problem and clean the area using our professional methods and solutions. We serve the entire design, textile and and carpet communities in the Beverly Hills, Santa Monica, Pacific Palisades, Malibu, Brentwood, OC and LA area. We have created the ultimate product for stain protection matched with the utmost service. Perma-Guard™ increases the life and durability of all fibers by preventing dirt penetration that accelerates fabric wear. All cleaning services are performed by top-notch truck mounted systems. We can provide continuos and dependable carpet stain protection and fabric cleaning services interested clients residing in LA, OC, Santa Barbara, Ventura. We also visit homes in Pacific Palisades, Brentwood, Beverly Hills, Santa Monica, Malibu and Newport Beach. One application of Perma-Guard™ provides protection from stains without altering the color or texture of the treated fabric. Perma-Guard™ contains ultra-violet inhibitors that reduce fading in fabrics, unlike scotch guarding. Perma-Guard™ treated fabric, carpet and leather stay cleaner two to three times longer, thus saving money on professional cleaning. Our cleaning services include: fabric, upholstery, handmade and specialty area rugs, leather, wall to wall carpet, draperies, headboards, bedding and linens as well as tile, stone and grout. For more information, feel free to browse our website. Read testimonials from our satisfied clients. Contact us today at (866)704-8273, for a free estimate and witness the difference! We cater to the following areas in California: Los Angeles(LA): Beverly Hills, Malibu, Santa Monica, Pacific Palisades, Brentwood, Orange County (OC) and Santa Barbara. Perma-Guard™ represents the ultimate in chemical engineering and fabric protection technology. It has been tested and approved by the American Association of Textile Chemists for washability and durability, and will repel most common household stains. It may not protect against acids, bleaches or dyes. Perma-Guard™ increases the life and durability of all fibers by preventing dirt penetration that accelerates fabric wear. 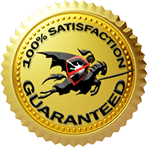 Should any item treated with Perma-Guard™ appear to become ineffective in its ability to repel stains, Perma-Guard™ will re-treat the item at no charge. Perma-Guard™ contains ultra-violet inhibitors that reduce fading in fabrics. If, after initial treatment, the Perma-Guard™ customer should need the service of our skilled cleaning technicians for spot removal, there will be no charge to the customer. We recently completed a major renovation and had Perma-Guard come out and clean our house, top to bottom. Everything from our carpets and draperies to our tile cleaned up beautifully! It was just the finishing touch we needed. I put off buying new furniture until my kids got older, but no more worrying about spills. All my carpets and furniture have been Perma-Guarded and good thing too! Red wine spilled on my new sofa and wiped right up with a wet cloth. It’s true and my sofa looks good as new. kids, 2 big dogs and furniture that looks as good as the day we bought it. 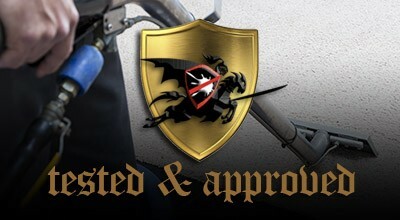 Thanks, Perma-Guard, for all your great service and for finally supplying a protection that works. We hosted a dinner party at our beach house and the unthinkable happened. A full glass of red wine all over my white sofa!! I was so glad our interior designer “insisted” I get our furniture Perma-Guarded.